JLH Drains unlocks and cleans your drains fast! If you are in Kent, London, Surrey or Sussex we have an engineer near you ready to help. No call out charge, cost agreed before work commences and the latest technology employed by experienced engineers. The most common problem that occurs with drains is a simple blockage. Whether your main drain is blocked, the toilet, kitchen sink or any other part of the buildings drainage system, JLH Drain can find the problem, remove it and leave a clean drain pipe behind. Its simple fast and we can usually get to you within an hour. Regular, preventative general cleans, typically using a high pressure water jet system, can be a cost effective investment especially in commercial buildings and restaurants who may find themselves with problems regularly. Call our emergency drain cleaning and unblocking number now on 0800 781 8922 for a quick response! These range from simple maintenance like jet washes or toilet blockage removals to complex work like tracking and controlling a large spill of oils or chemicals from a commercial property. We are highly qualified and certified to work on all kinds of drain system in properties, in the street and even in confined spaces. Whatever the problem, we’ve already fixed it and we’re constantly investing in new ways to do things faster, cheaper, more effectively and less disruptively. With decades of experience and five offices working throughout the South East region, we provide complete coverage of Kent and the South East of the capital city, including; Gillingham, Chatham, Rochester, Maidstone, Sidcup, Dartford, Gravesend, Newington, Sittingbourne, West Malling, Guildford, Leatherhead, Farnham, Woking, Orpington, Canterbury, Bromley, Swanscombe, Parkwood, Sheerness, Northfleet, Crayford, Sheppey, Whitstable, Margate, Herne Bay, Ramsgate, Medway and London. 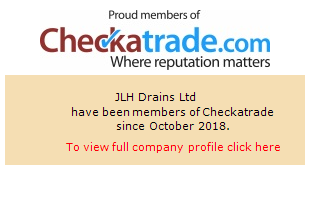 Whatever your commercial or domestic drain cleaning and unblocking needs speak to the experts at JLH Drains for comprehensive, professional and affordable solutions; contact us today to arrange a no obligation survey and quotation with one of our friendly team. Working throughout Medway, Kent, London, Surrey and Sussex, we provide fast, reliable and affordable blocked drains repairs for domestic clients. We'll Repair Your Blocked Toilets! As one of Kent's leading drainage experts, we specialise in the fast, affordable and effective repairs of domestic blocked toilets across Kent, Medway, Surrey, London and Sussex.